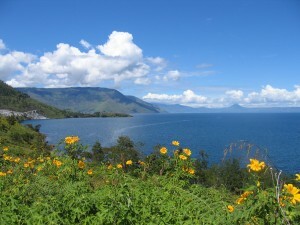 World famous is the crater lake Danau Toba in the Batak highlands, approximately five hours drive from Medan. There are two ways to go to Lake Toba from Medan. One way via Brastagi in the Karo highlands and the other route along the rubber and palm oil plantations and Pematang Siantar. Lake Toba is the largest lake in South East Asia and also one of the most spectacular ones, surrounded by high mountains and with the large island of Samosir situated in the middle of the lake. When we descend from the mountains we see the lake in all its beauty. 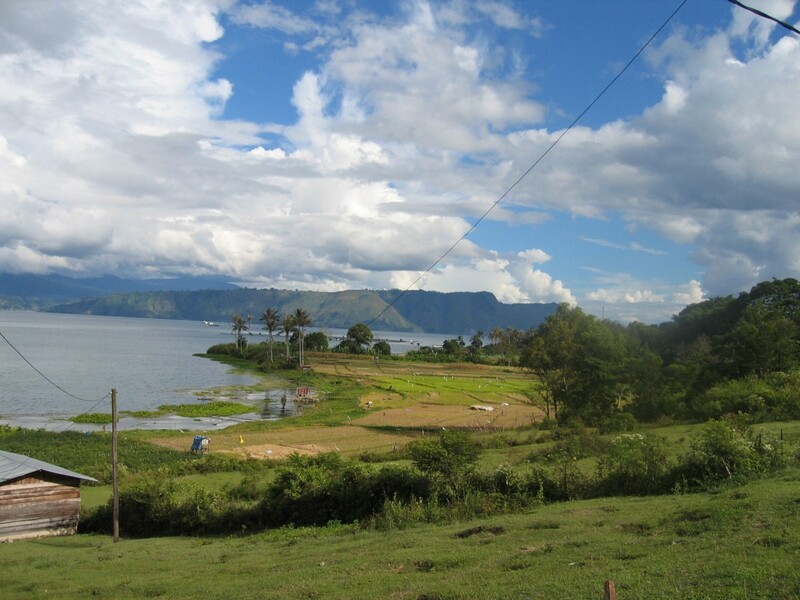 The Dutch writer Rudy Kousbroek even called Lake Toba “the most beautiful place on earth”. What to do in Samosir? Most visitors stay on the peninsula Tuk Tuk on Samosir, named after the linguist Herman Neubronner van der Tuuk. In general, people stay on Samosir for several days to discover the island, visit the traditional Batak villages, swim in the lake and go to the hot springs in Pangururan. 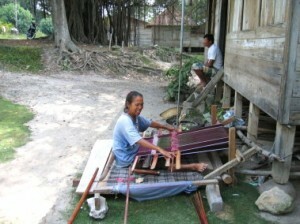 The port in which we arrive at Samosir is the port of Tomok, known for its ancient Batak monarchs. The main tomb is the tomb of King Sidabutar, who lived in the second half of the 19th century and who introduced Christianity to the island. The place of justice was situated in Ambarita. Here one can still see megalithic stone tables where people spoke justice according to the local ‘adat law’. There are also old execution tables on which the verdict was executed. This verdict was pretty hard; the prisoners were usually beheaded. Traditional “Tortor” and “Sigalegale” Batak dances are performed daily in the village of Simanindo. They perform live performances of Batak music. A wooden puppet doll (representing a deceased son) is moved around by threads. 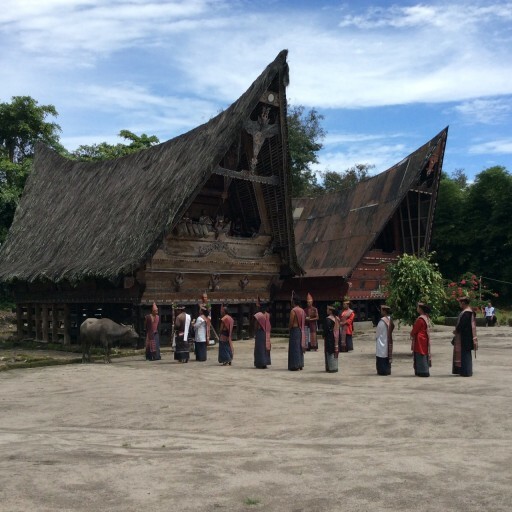 After the dance performance, you can visit the interesting Batak museum. The village of Pangururan lies at the point of Samosir where the island was connected to the mainland. In the past, Samosir was a peninsula, but during the colonial period, a narrow channel was dug so that sailing boats could sail around Samosir. This made Samosir an island. From Pangururan you can go to the hot springs of Mount Belirang.